Join our affiliate program for free, or take advantage of our Gold, Platinum, or (Blue Diamond Membership) and start earning thousands in extra income today! What industry made more money than the MOVIE, MUSIC, NFL, MLB and NBA combined? THE STATE LOTTERIES. THAT’S RIGHT, THE LOTTERY! In 2016, more than 70 billion dollars was returned as net profits to lotteries throughout North America. Each year, more than 4 billion dollars will be paid to 200,000 North American lottery retailers in commission for selling lottery games. Earlier this year, ABC News did a special on lotteries, one of few businesses that had a 13% increase in sales in a down economy. The fact of the matter is that state lotteries have been around for over 40 years and have made billions each year. Get instant affiliate credits from all active subscription members or affiliate associates! 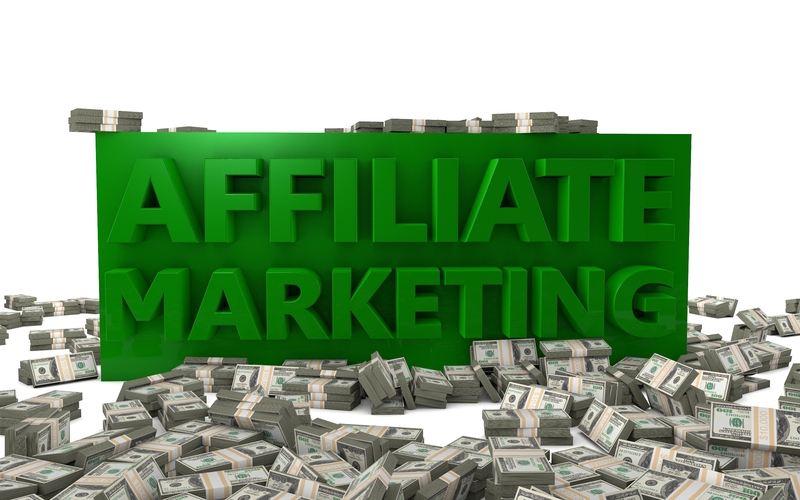 Our affiliate program is managed by one of, the leaders in affiliate program tracking! All your traffic is tracked with cookies for 360 days, so you get commissions even if your customer leaves and comes back months later and purchase with the same internet device! Join our free affiliate program (FOR FREE) and start earning money in a 700 billion dollar industry. For every book sale of $13.75 you send our way, you’ll receive 28% or $3.85 of the profit, and for every customer that becomes an active member on our site, you will generate $2.24 for every $8.00 active member. $7.00 for every $25.00/member, $14 for every $50/member, and last $28.00 for every $100/member per MONTH in recurring commissions. That’s right, earn a commission every month as long as members remain active! Simply create your account, place your linking code into your website, promote through social media, TV/Radio Ads or our amazing offline marketing tools and watch your account balance grow as your visitors become our customers. Compensation Plan: Starting at low-end level $1000 per month and up plus bonuses! All affiliates with a PayPal account commissions are paid every Monday through PayPal. Join our Gold affiliate program for ($25.00) monthly and for every book sale of $13.75 you send our way; you’ll receive 35% or $4.81 of the profit. And for every customer that becomes an active member of greater or lesser value on our site, you will generate a 35% commission starting at $2.80 for every $8.00/member, $8.75 for every $25.00/member, per MONTH in recurring commissions. All Gold members get instant access to our winning membership site to win thousands, your back office, access to training videos, and discounts on all marketing and promotional material. Last a 10 tier down-line and unlimited tier of lucrative recurring commission payout! 1. As a gold member, we offer ($8.75 ) profit sharing for all active gold members accounts on your first unlimited tier across. 2. As a gold member, we offer ($4.37) profit sharing for all active gold members accounts on your second unlimited tier down-line. 3. As a gold member, we offer (5%) profit sharing for all active gold members accounts on your third tier and 1% on 4 tier thru 9 tier. Last the 10th tier 2% of a 10 tier level down system. Compensation Plan: Starting at low-end level $10,000 per month and up plus bonuses! Join our Platinum affiliate program for ($50.00) monthly and for every book sale of $13.75 you send our way, and you’ll receive 35% or $4.81 of the profit. And for every customer that becomes an active member of greater or lesser value on our site, you will generate a 35% commission starting at $2.81 for every $8.00/member, $8.75 for every $25.00/member, $17.50 for every $50.00/member per MONTH in recurring commissions. All Gold members get instant access to our winning membership site to win thousands, your back office, access to training videos, and discounts on all marketing and promotional material. Last a 10 tier down-line and unlimited tier of lucrative recurring commission payout! 1. As a Platinum Member, we offer ($17.50) profit sharing for all active platinum members accounts on your first unlimited tier across. 2. As a Platinum Member, we offer ($8.75) profit sharing for all active platinum members accounts on your second unlimited tier down-line. 3. As a Platinum Member, we offer (5%) profit sharing for all active platinum members accounts on your third tier and 1% on 4 tier thru 9 tier. Last the 10th tier 2% of a 10 tier level down payment system. Compensation Plan: Starting at low-end level $20,000 per month and up plus bonuses! Join our Diamond affiliate program for ($100.00) monthly and for every book sale of $13.75 you send our way; you’ll receive 35% or $4.81 of the profit. And for every customer that becomes an active member of greater or lesser value on our site. You will generate a 35% commission starting at $2.81 for every $8.00/member, $8.75 for every $25.00/member, $17.50 for every $50.00/member and last $35.00 for every $100/member per MONTH in recurring commissions. All Gold members get instant access to our winning membership site to win thousands, your back office, access to training videos, and discounts on all marketing and promotional material. Last a 10 tier down-line and unlimited tier of lucrative recurring commission payout! 1. As a Blue Diamond affiliate, we offer ($35.00) profit sharing for all active blue diamond accounts this tier is unlimited across. 2. As a Blue Diamond affiliate, we offer ($17.50) profit sharing for all active blue diamond accounts on your first unlimited tier down-line. 3. 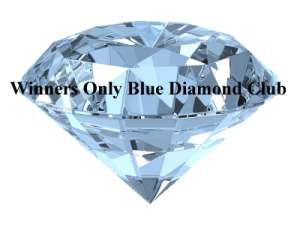 As a Blue Diamond, we offer (5%) profit sharing for all active blue diamond members accounts on your third tier thru and tiers 4 thru 9. Last the 10th tier 2% of a 10 tier level down payment system. Compensation Plan: Starting at low-end level $30,000 per month and up plus bonuses! You have your own custom “back office” for managing all of your account activity 24 hours a day – 365 days per year. You’ll always be able to view your activity in REAL-TIME to see how many visitors you’ve sent to the site, how many sales you’ve made, and how much money you’ve earned! You’ll also be able to check on your sub-affiliates’ (i.e., other affiliates you’ve referred) stats and sales. Our training, resources, and “ready to use” marketing tools are pre-loaded and ready to go for you as well, providing everything you need for your financial success. 4 STEPS TO EARNING THOUSANDS WITH US! 1. You promote 2. We ship 3. We handle all subscriptions 4. You Get Paid! This 5%, 7%, and 10% quarterly bonus is Winners Only Lotto Bonus Pool. It is called the I HIT THE LOTTERY bonus because it rewards leaders who help their organizations succeed. Each affiliate level is unique in reaching this bonus level, and once an affiliate achieves success every quarter reaching bonus, you are earning a great residual income every month. DON’T HAVE A WEBSITE? USE SOCIAL MEDIA AND EARN THOUSANDS DAILY! Offline marketing affiliate program: This means you don’t have to own a website and you can still earn money through our affiliate program. With the offline marketing module activated, as an affiliate, you can tell a friend or market to people you meet in everyday life. Also, the customer can manually enter the affiliate’s ID number into a form to register the affiliate manually. This form is held in the Offline Marketing Box. Using the offline marketing module will not affect normal affiliates sending in traffic through the traditional means of text/banner links. Banner ads, text ads, and offline marketing material are supplied for your marketing needs. to Facebook and Twitter, directly from their affiliate account! 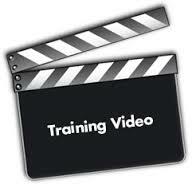 See What Amazing Training Videos We Offer! To watch all affiliates training videos log into your back office.